GPHT1 is our Gummed Paper Hinging Tape by Lineco that measures 1" x 1560" (130 ft.) and can be used for a wide variety of applications. 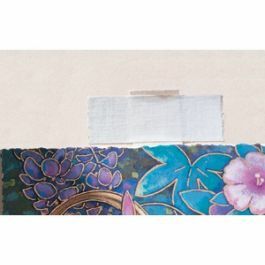 This tape is an excellent choice for conservation hinging of art, photos, awards, and documents to mounting surfaces. Water-activated and buffered to a pH 8.5, this sturdy tape is also water reversible. PAT passed. 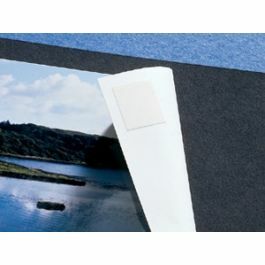 This GPHT1 Gummed Paper Hinging Tape by Lineco offers a superior product for safe and easy hinging of art and photos. This paper tape measures 1" x 1560" (130 ft.) and is buffered to pH 8.5 with 3% calcium carbonate. 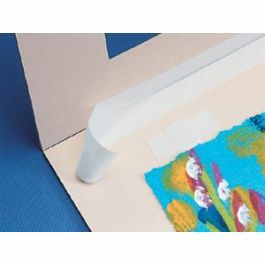 Apply to the back of the desired mounting surface by activating with water. 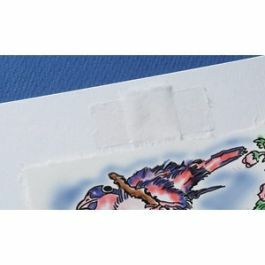 The fast-drying tape provides a strong adhesive glue for mats and backing boards, and can easily be removed with water if you need to make a change. Gummed adhesives are the preferred choice for conservators, but can also be used for general hinging. Acid-free and lignin-free, this tape provides a strong attachment over a wide range of temperatures and varying humidity. The primary use of GPHT1 is for conservation and general hinging a wide variety of art.